This handy holiday house on Aickin will provide all you need for your holidays without breaking the bank. Enjoy a great location, which is close to the supermarket, shops and beaches. The holiday home is also located adjacent to the local netball courts and park giving it a peaceful, private outlook. The holiday house has plenty of room and is ideal for small groups, couples or families. 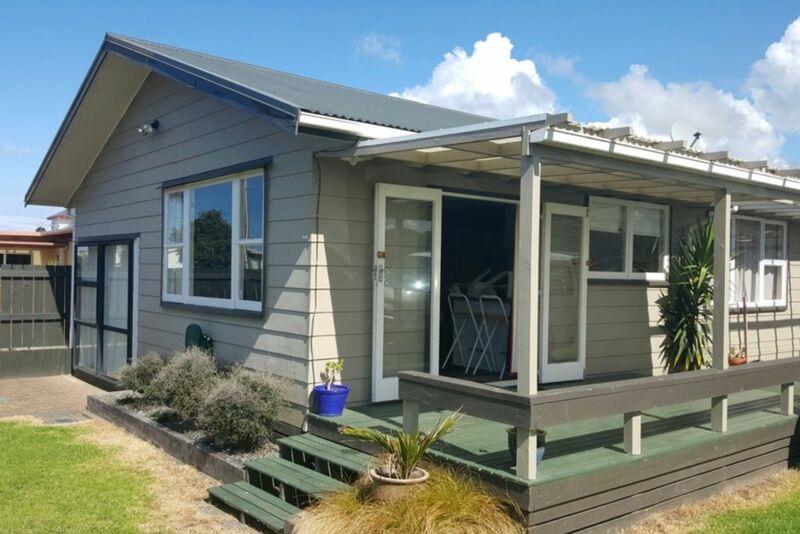 Simply turn up, unpack and enjoy your holiday in Whangamata. Please note you must bring your own linen - sheets, pillow cases, towels and tea towels. 3 TVs and none worked.kind neighbor lent us theirs....arial remained a problem....this was below motel standard. As soon as you had advised of the tv problems, I had arranged for a sky man to come in and sort the tv's only to be called by your husband to tell me that it was no longer a problem and not to worry. I was then called again several days later to say there was a problem that your husband thought was atmospheric. I phoned sky and they advised there was nothing they could do for this as it was related to the weather. Disappointing to see you paint a one sided picture of the issue. Location was perfect, house had everything we needed. Location was perfect, house had everything we needed. Only negative comment would be that the back shower needed cleaned before we could use it. Great location - only a short walk to the centre of town, supermarket and the beach. Great location - only a short walk to the centre of town, supermarket and the beach. Good sized Bach for everyone to feel like they have their own space. Nice outdoor spaces and furniture for relaxing. Great location and well stocked with everything you need.